Having previously listened to a few of the songs from the album, I had already been looking forward to Steve Moakler's Steel Town prior to it's March 17th release and the album more than lives up to expectation. Steel Town is Steve's fourth studio album and it showcases an impressive array of songs that has already left me looking at this as one of the albums of the year. Five of the tracks on this album were first released as part of Steve's self-titled EP early last year and it is two of those in particular that I find myself regularly returning to - Love Drunk and title track Steel Town. Distinctly different in many ways, of the two Steel Town itself is where the lyrics will really draw you in. Opening with a spoken account of life in 'Steel Town' (Steve's native Bethel Park in Pennsylvania), the track feels incredibly personal to Steve from the offset but balances that with a musical pull that draws the listener in and makes them want to hear more. The production behind the track has a gritty edge which seems to compliment Steve's passionate vocal delivery and the differences between the relatively subdued instrumentalisation in the verses and then the rockier chorus really contribute to the strength of the overall track. In contrast to this it was the melody of Love Drunk that really drew me to the track. A moment in the album that is sure to get you tapping your feet along to the catchy rhythm and leave you with a smile on your face, Love Drunk is a perfect track to turn up loud on a warm summer's day. The re-occurring electric guitar hook and hand-claps help build the overall melodic picture of an incredibly catchy track that you will quickly find yourself returning to time and time again. The distinctive gritty edge to Steve's tone really comes through in Siddle's Saloon. One of the rockier numbers on the album, I love the whole story behind the track, Steve and co-writer Barry Dean paint such a clear picture that you as a listener feel like you're right there in the middle of it all. With the punchy production providing the backdrop, Siddle's Saloon's reflective nature makes it a cohesive part of the album whilst the overall rocky, party-like feel adds another dynamic. Whilst the album as a whole is incredibly impressive it is the poignant Wheels where the release really shines. Supported by strong backing vocals from one of the track's co-writers Caitlyn Smith, Wheels continues the reflective nature of tracks like Steel Town and Summer Without Her and sees a very strong vocal from Steve who sounds completely at home within a track that showcases him at his best. A distinctly relatable song that takes the listener on both a melodic and lyrical journey, it's great to see that Wheels is the new single from Steel Town. Steel Town is without a doubt an outstanding album that deserves to be embraced and applauded. 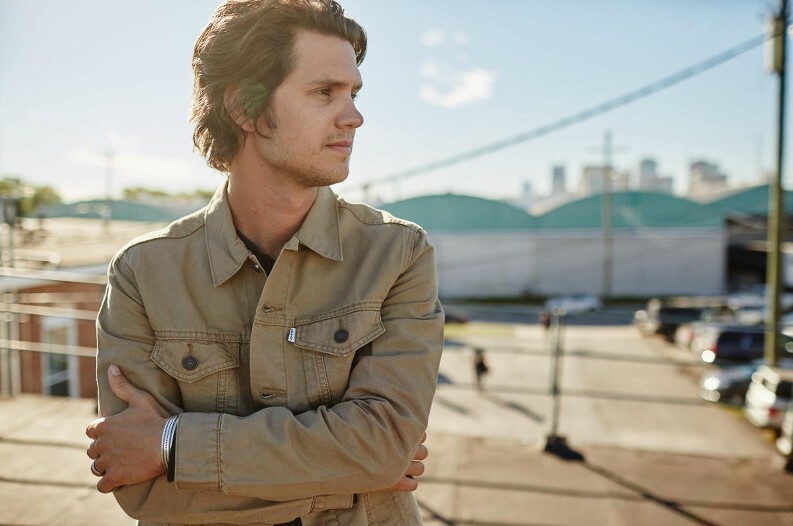 Making his mark upon country music with an evident talent for storytelling and a selection of great tracks, Steve Moakler is certainly one to watch, a star in the making! Labels: Steve Moakler "Steel Town"